The FabFitFun Summer 2015 Boxes started shipping out the week of June 22nd. I just received mine today (July 9th). I believe the boxes must be shipped in batches since my ship date was July 7th. So a pretty quick actual travel time though my box appears to be in one of the later batches. Can I just say I love the pale pink coloring on the shipping box?! The Everyday Wireless Speaker by FabFitFun ($29.99) - I think this would be great for a beach bonfire or some other type of outdoor party since the speaker is very lightweight and easy to carry with the hook and handle. It plays radio and can connect wirelessly to your cell phone using Bluetooth. I tested it out and the sound quality isn't spectacular but it would be good enough for a little get together. I'm not sure how much use I would have for this personally though. The speakers would have been more useful back when I lived in Southern California and went to the beach or pool practically every other day during the summer. 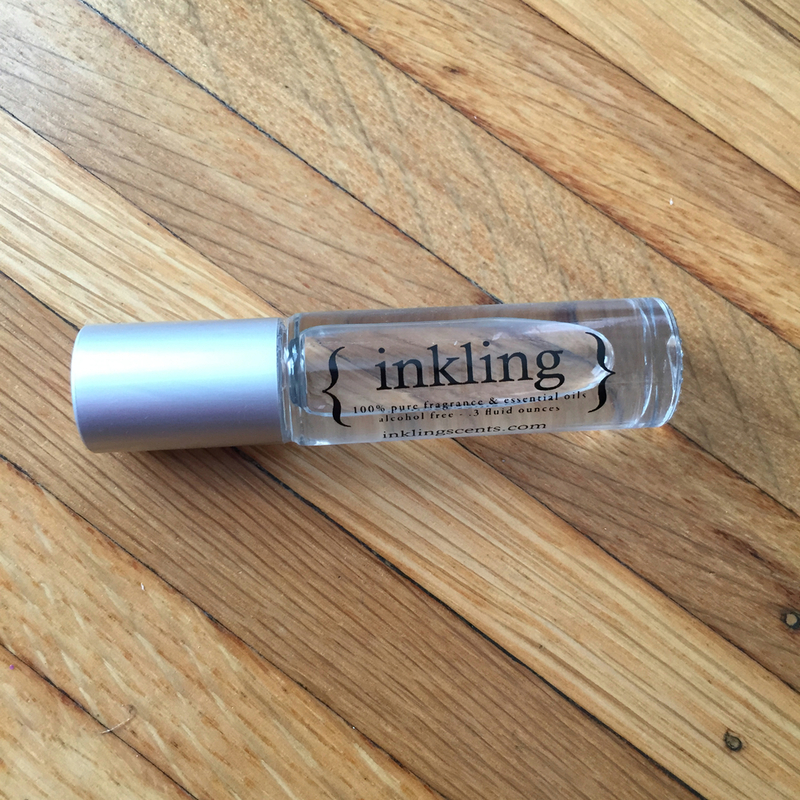 Inkling Scents Sultry Roll-On Oil Perfume ($25) - I think my bottle is leaking. When I first opened the subscription box, the whole thing smelled like perfume. Unfortunate, but whatever. The scent on this is a little powdery for me anyways. The notes are supposed to be: sandalwood, amber, lotus flower, orchid, Bulgarian rose, and vanilla. I prefer spray bottles over roller ball perfumes too. Gorge "I'll Make You Look Amazing" Daily Spray ($24.95) - I like leave-in conditioners because my hair gets super dry. So I will likely give this one a shot though it has a funky chemical smell that vaguely reminds me of Skittles. Here's the ingredient list: water (aqua), carbomer, cetearyl alcohol, propylene glycol, amodimethicone, panthenol (pro-vitamin B5), cetrimonium methosulfate, citrus aurantifolia (lime) oil, phenoxyethanol, ethylhexylglycerin, citric acid, glycerin, polysilicone-15, octinoxate, hydrolyzed vegetable protein pg-propyl silanetriol, hydrolyzed quinoa, silk amino acids, camellia oleifera leaf (green tea) extract. Also comes with a $20 gift card if you spend over $49.95 at gorgehair.com. Tarte LipSurgence Lip Gloss ($19) Alternate link - this comes in a variety of options. Mine was called "Envy", a darker berry-tinted mauve (FYI, I identified this color on my own before looking up the description on Sephora. Yes, I'm proud of my color-identifying skills ^.^). I actually like this one a lot since I already have a ton of pinks and reds. It's something new to add to my collection and I like Tarte. FabFitFun x CosmoBody Jump Rope ($14) - Believe it or not, I used to jump rope all the time as part of my HIIT workout routines back when I lived in SoCal. Unfortunately, apartment living prohibits any kind of cardio workouts at home (read: super creaky floors, thin walls and ceilings). I can hear my upstairs neighbors talking as I type. I really like this jump rope though, the rope length isn't too long for my small body and the handle grips are padded. Scratch Nail Wraps ($12) - I've never used nail wraps before so these will be interesting to try out. I'm not a huge fan of the design with the single triangle on the nail tip though. Other colors. Headspace 3-Month Subscription ($38.85) - This I am interested in, I find it very funny how mindfulness and mediation is becoming so popular. Popular enough for a FabFitFun box! Before I met my boyfriend, I honestly thought mediation was just something for monks and hippies. Obviously, I didn't know any better. Hello Konjac Cleansing Sponge ($12) - I am pleased that I got this! I've wanted to try the Konjac sponges since I saw some really cute purple and green colored ones at Sephora a couple months ago. I'm glad I didn't buy any yet and that this one came in the subscription box! I currently use a washcloth for my face. I tried Clarisonic about a year ago, but it was too harsh for my very sensitive skin resulting in irritation and break outs. So hopefully, the sponge will be a more gentle exfoliator. Vaseline, Intensive Care Aloe Soothe Spray Moisturizer ($5.99) - This was a bonus sponsored item. It has a "cool cucumber" scent and sprays on white so you need to rub it in. This I will use since I'm a lotion junkie (super dry skin!). Overall, I am much more pleased with the Summer box than I was with the Spring box last time. If I'd gotten the heart necklace instead I'd be even more pleased but oh well, I guess that's just the luck of the draw. I give this box a 4/5 because I'm planning on using 7 out of 10 items. Do you have a FabFitFun subscription? What did you think of the Summer 2015 box? Let me know in the comments below!